ASPHostPortal Hosting provides the best environment for .NET CMS hosting, by having all the supporting libraries to power a fully featured .NET CMS site. Start with us today! .NET CMS allowing a whole implant, network composed countless by web sites, provided forum, with album, photos wiki, social utilities, all this of install application only on once shared a supported hosting, by ASP.NET. ASPHostPortal.com's ASP.NET hosting platform is ideal for .NET CMS Hosting. We are 100% fully support on windows platform. 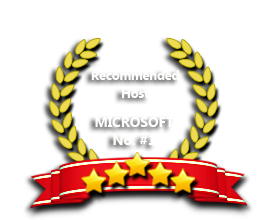 Our windows hosting is compatible with the .NET CMS hosting management and collaboration application. We provide the fast and secure MSSQL and Web Servers that give you maximum reliability and performance. Our Windows Cloud Hosting fully supports .NET CMS hosting. You are more than welcome to try our Free Windows Cloud Hosting before you decide to buy. You can get your Free Cloud Windows hosting account up and running within the next few minutes.